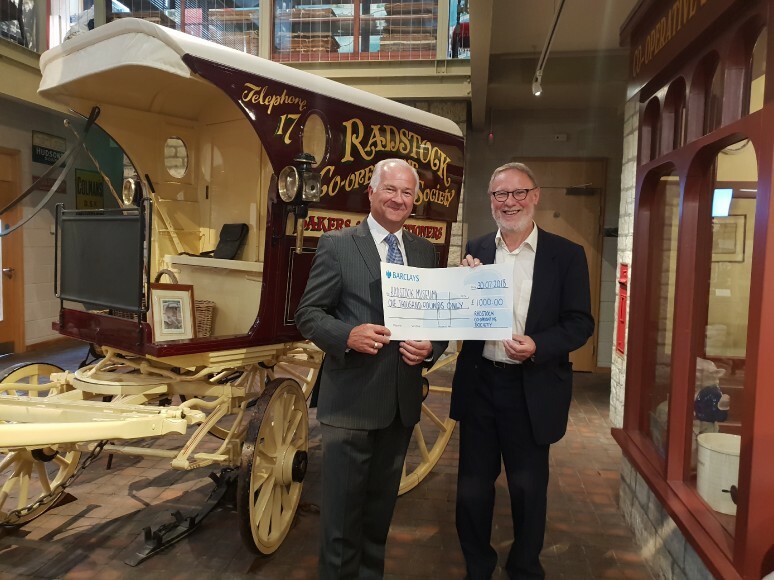 Society members voted for The Radstock Museum, as one of their chosen charities for 2018/19 at this year’s AGM which took place in June. The Society has strong links with the Museum and has supported the annual Miners Reunion lunch for several years. More recently, the Museum reciprocated by dedicating one of its exhibitions to the history of Radstock Co-op which coincided with the 150th anniversary year. The Museum also paid host to a book launch and book signing event to promote the publication of the Society’s history book capturing the last century-and-a-half. Nick Hall, the Museum’s Chairman was presented with a cheque for £1,000 by Jeremy Fricker, the Society’s President signifying the start of the year as chosen charity. With rising operating costs eg energy, rates etc combined with an ever diminishing amount of funding, the Museum welcomed the initial financial donation and look forward to forging even stronger bonds with the Society.